It’s been a challenge writing up our company history – as with any successful enterprise, there have been a few twists and turns. So I will start back in 1989 when aged 29 I had already spent nine years in the industry and was working as a consultant for KR Management. Even then I was an independent consultant, working under another company’s umbrella but I got itchy feet and decided it was time to put up my own umbrella and strike out in the good company of associate, Tim Froggatt. Tim and I knew our relationship was full of potential and that we could offer something unique – Tim was from a corporate financial services background and I was grounded in retail SME business. Our different personalities allowed us to spark off one another and we both enjoyed debating with and listening to our peers and colleagues across the industry. Just as well, because we launched on the crest of a wave as the UK was about to plunge into recession. 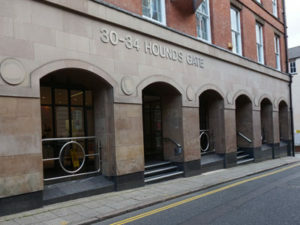 We were lucky enough to have institutional support to the extent that in July 1989 we were allowed a small amount of office space in premises at 30 – 34 Houndsgate in Nottingham city centre. Times were good initially – we were young and considered ourselves to be stylish gadabouts. More important than that, we had all the right connections and reasonably deep pockets. We even shunned the standard office furniture range and launched our business with bespoke Danish furniture which proved to be an excellent investment. Having undergone periodic refurbishment, I am still sitting at my bespoke Danish desk 28 years later, stylish as ever. I also invested £2,000 in one of the first truly mobile phones, an Excel M1 which came in its own attaché case and definitely wasn’t a brick but did weigh in at 2.2 kilos. In the Autumn of 1989 we set up our first headquarters on Regent Street which was then a vibrant business area and a favourite address for solicitors, accountants, architects and other professional practices. The new premises seemed palatial with the high ceilings and large windows of the Victorian era although the rent was somewhat steep and the offices were in need of a little TLC. Still, we actually had a reception area, an admin office and three more offices to boot. Our first hiring was for a receptionist – that was something of a challenge as most of the interviewees seemed to have firm ideas about how the business should be run and how Tim and I should be organised. Despite having left a position as a commercial and financial services manager where I was in control of a £50 million mortgage book, it was all rather intimidating so we took the coward’s way out and employed a gentle soul from the local YTS scheme who turned out to be a treasure. There was only one problem and that was a lack of parking and by the time the economic crash of 1991 had taken hold funding our parking fines became an issue and Regent Street was beginning to look a bit like a ghost town of “To Let” signs. A friend of ours, Glynn Brinkler, pointed us in the direction of an associate whose father had purchased a large building just off Trent Bridge with two allocated parking spaces and spaces for clients. In late 1992 we took over the first floor of Palmer House and our adventure continued both in running our practice and our consultancy designing mortgage products for institutional clients. Alongside our commercial work, we had set up Advanced Mortgage Concepts – a boutique mortgage design brand that had some of the world’s most recognised financial institutions as clients – Prudential, Barings Bank, Legal & General, Pearl, the list went on as we built our reputation. On the commercial side we branched out with a Spanish consultancy and while our initial findings were good, time constraints meant that we later chose to focus on our domestic business. We became the commercial mortgage desk of Pearl Assurance and after that struck a deal with Mortgage 2000, a subsidiary of Moneysupermarket.com. Around this time we said goodbye to my setting-out buddy, Tim Froggatt, who had a few health problems and was advised to take a less stressful job. Tim took up a part-time post as lecturer on financial services at Nottingham Trent University initially while working with me, but with illness he decided to move into a full-time post in adult education where he continues to work to date. 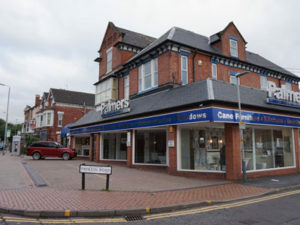 Despite the loss of Tim, the business was going well and in 2006 we took over the second floor of Palmer House just as Rushcliffe Borough Council began painting double yellow lines here, there and everywhere. A few years down the line we were, once again, confronted with serious parking problems. 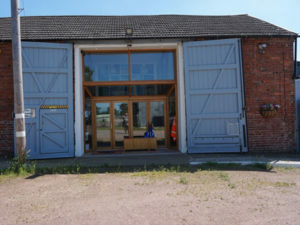 In October 2011 we chose to relocate the business to Barlows Lodge a farm in the Vale of Belvoir. The move was actually the result of a friendship and a tragedy – a client who had been talking to us about diversifying his farm had become a firm friend. A bond had developed between us as meetings on site were interrupted by a breach birth for a ewe and other everyday farming events. As anyone familiar with rural life will know, however you are suited and booted there comes a time when you have to pitch in and at least one suit got ruined as I attempted to follow instructions delivering lambs. Sadly Philip, the farmer, died suddenly in 2004 and I was hit hard by that loss. The finances of the farm were at a precarious stage and Philip’s widow was beside herself with the grief and worry. Having known the family for many years I took over as farm manager as we continued to diversify the business. Locally I became known as “the city farmer” and eventually one of the farm outbuildings, a beautiful old granary in need of restoration, was converted into the office where Corporate Money Matters is now based. I have often wondered if I made an emotional rather than a financial judgment regarding the relocation but there are definitely no parking problems! In fact, our location benefits from the Heart of England’s excellent road links, North, South, East and West. 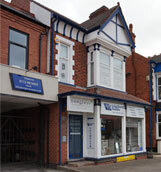 It was important to us to maintain a presence in West Bridgford having been there for so long. We had a number of existing clients who were used to and required being seen in that area, so we opened a satellite office at 81 Melton Road for this benefit. We decided based on the volumes of introductions and business that we received from the vibrant business community in Leicester that we should open a satellite office in the city soon after moving to Colston Lane. 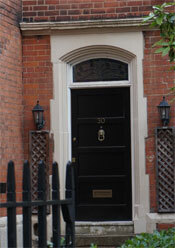 We have done so at 31 Castle Street. Both of our satellite offices give our client the benefit of feeling pavement under their feet. We believe that working out of Barlows Lodge also reflects our commitment to the new tech and renewable energy and farming sectors. We were involved in the renewable energy sector before it had a name and put together a funding package for an early compost-to-energy site at a vast clay pit landfill near St Merryn in Cornwall. As the renewables sector developed so our expertise in arranging funding grew. We are passionate about our work in this sector and we need to be – experience tells us that sound technical knowledge is essential when approaching lenders.